Remove spyware, adware, Trojan horses, key-loggers, rootkits on your computer. WinDetect finds and removes spyware, adware, Trojan horses, key-loggers, rootkits, backdoors on your computer. WinDetect product recognizes malicious software by watching for suspicious behavior, not by searching for known signatures. It has constant protection that is always up-to-date without requiring signature updates. 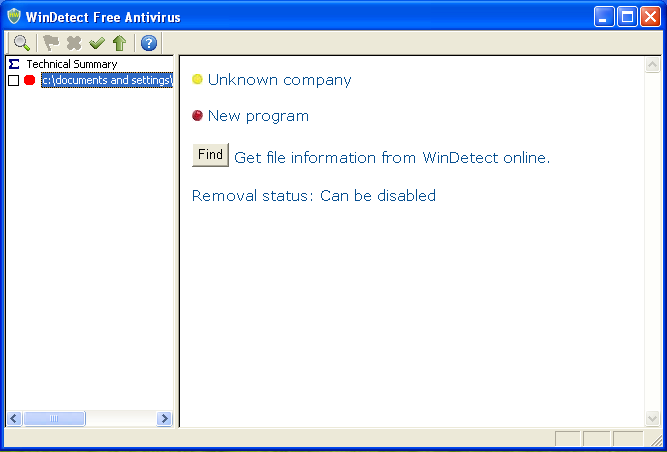 WinDetect starts at system startup and monitors all drivers and processes run. Changes: Add Windows 10 Support.